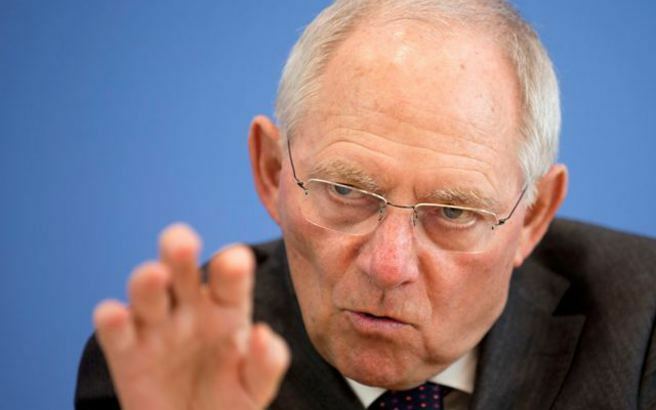 The package with explosives sent to German Finance Minister Wolfgang Schaeuble on Wednesday was sent from the region of Attica and cited as its sender New Democracy Vice-President Adonis Georgiadis, the Citizens Protection Ministry confirmed. The package arrived at the ministry mailroom and was found to contain explosive material. It was neutralized by German police. After the news, Citizen Protection Minister Nikos Toskas asked Germany’s police contact in Athens for information on the parcel. It was established that the package was mailed from a yet unknown ELTA post office in Athens and bore Greek stamps and seals. Toskas notified the ND lawmaker who confirmed the address, after which police and anti-terror police asked their German counterparts for more details on the explosive mechanism and other information which will shed light on the real sender. Authorities are also trying to establish from which post office the parcel was sent and how it got past security at the airport.